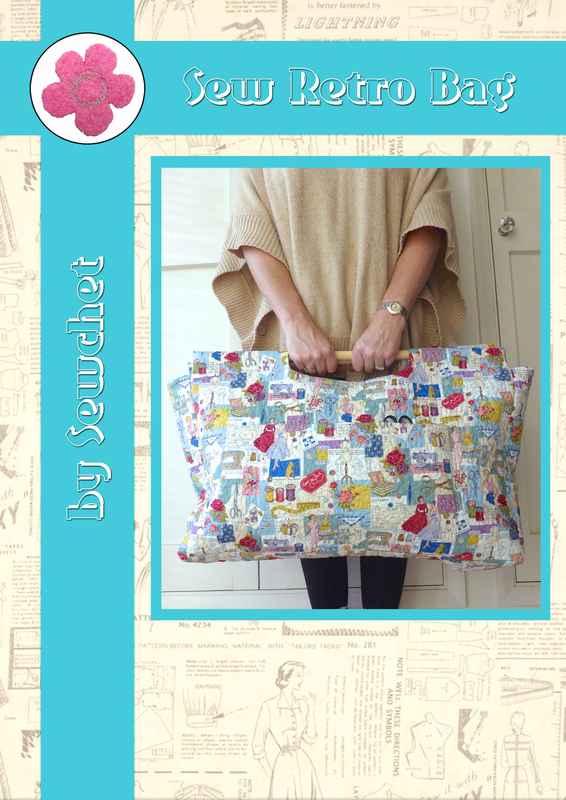 Handmade Christmas Presents – Light At The End Of A Very Long Tunnel! Phew! 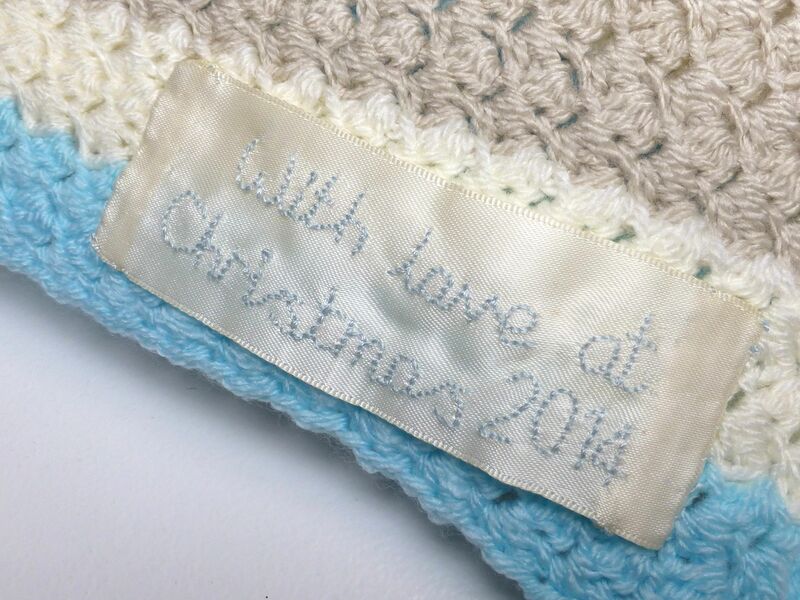 (Mops sweat from brow before it drips onto freshly laid out pile of FINISHED Christmas pressies). Yep, you heard me – finished! Well, obviously not the ones I haven’t started yet but, taking a leaf out of Tajana’s book, I gathered together all the recently completed works of art gifts and was pleasantly surprised at my progress. 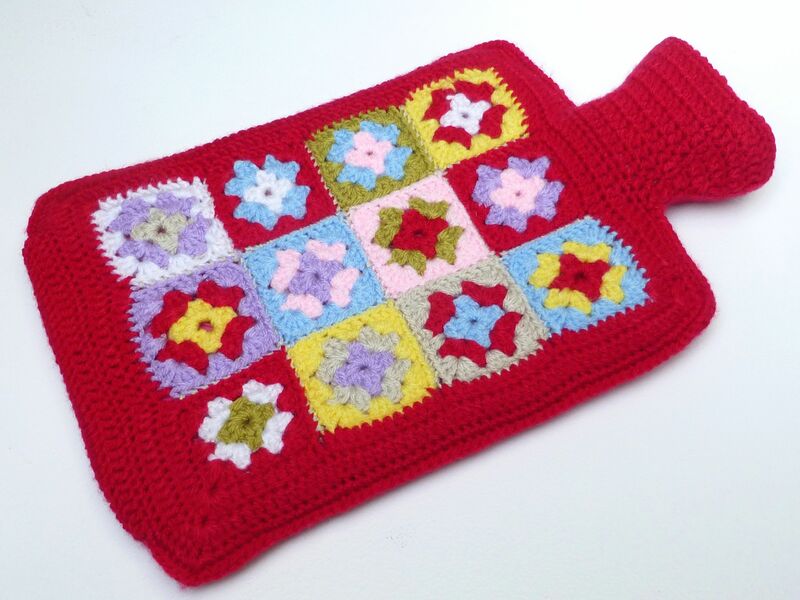 First we have a Granny square hot water bottle cover – I’ve been itching to find someone to make one for since being inspired by the multitude of colourful hotties on Pinterest. 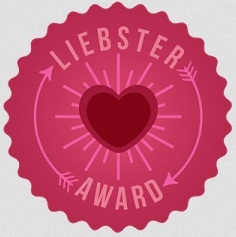 So, if you’re reading this and think it might be for you, ssshhhh, it’s a surprise! The buttoned flap makes the cover removable for washing after you’ve spilt your cocoa all over it, because you know you just want to snuggle up with a hot milky drink (or whisky) now, don’t you? I’ve blogged about these cowls and beanie here, but these free printables from Kym at Cobberson & Company are a lovely way to present them. 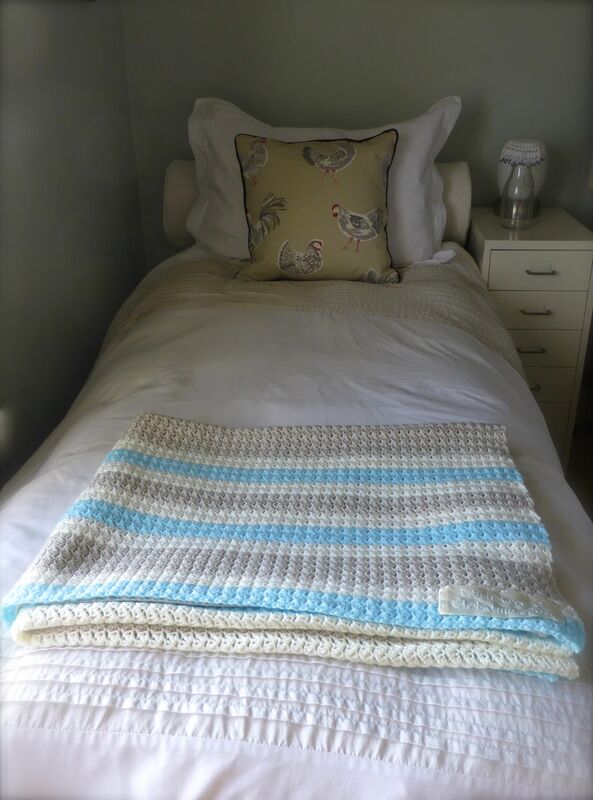 This blanket was requested specially – I hope they like it because it took over two months to make! 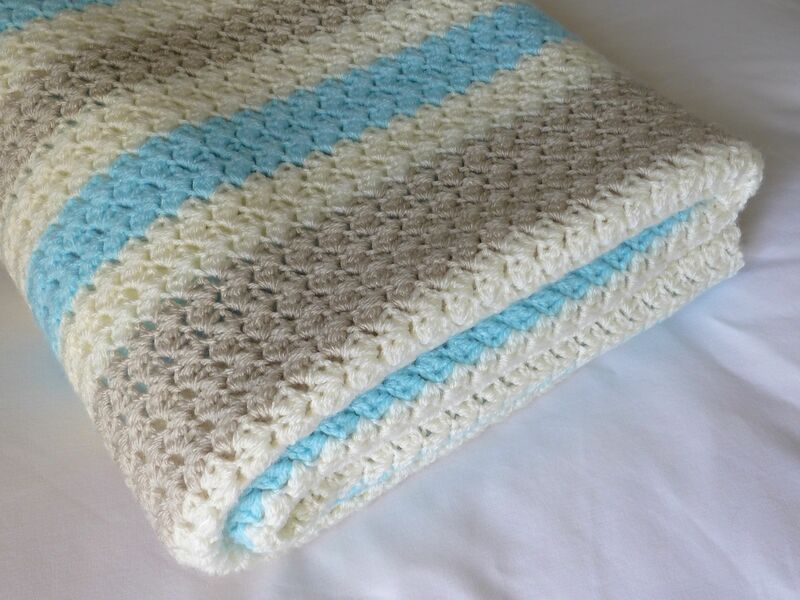 It’s based on the Sweet Ocean Breeze Baby Blanket by Little Monkey’s Crochet only I made it twice the size to fit a single bed or across the bottom of a double. 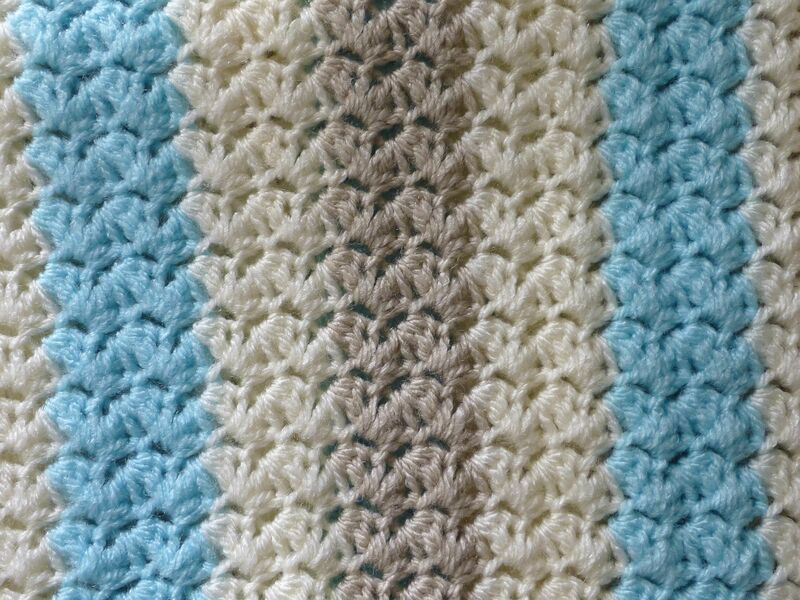 The stitch pattern is a joy to crochet and the pale colours made it easy to work on in the evenings whilst watching re-runs of “Morse” and “Lewis”. 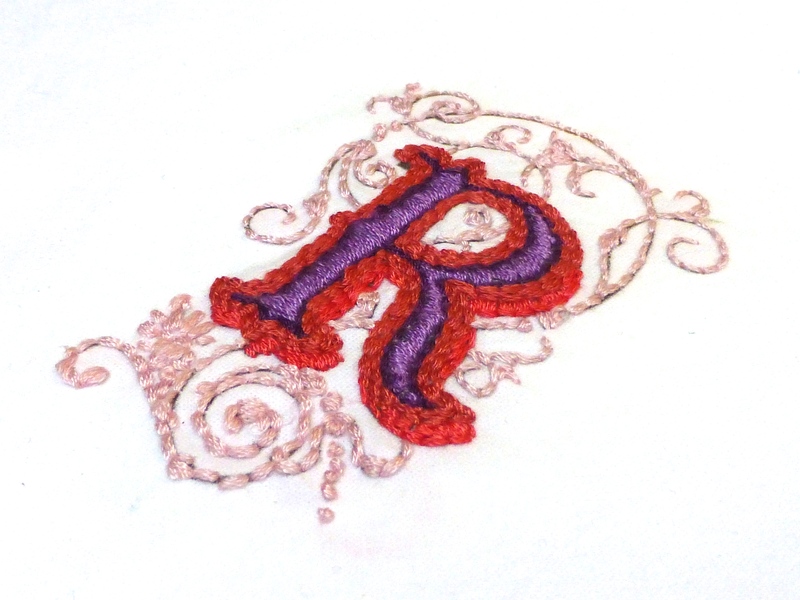 I embroidered a label on a piece of satin ribbon to personalize it and make it a bit more special. 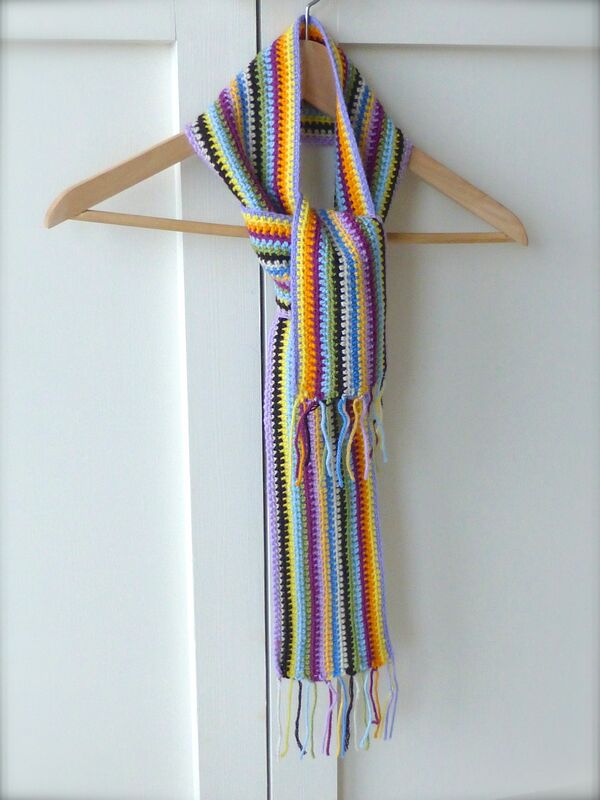 The scarf was blogged about in this post and, to be honest, it was so long ago I’d completely forgotten I’d made it! 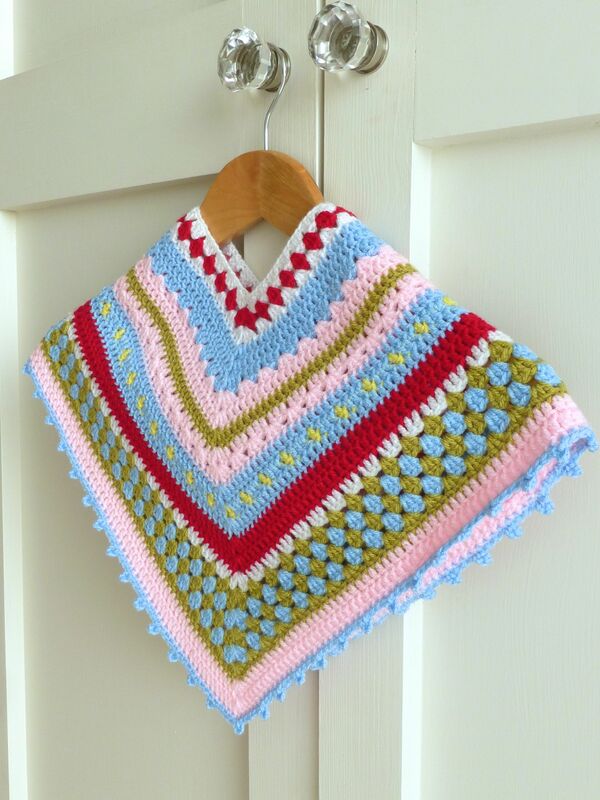 Similarly, the poncho I made was finished a while ago but it can be added to the growing box of presents that are ready to wrap! 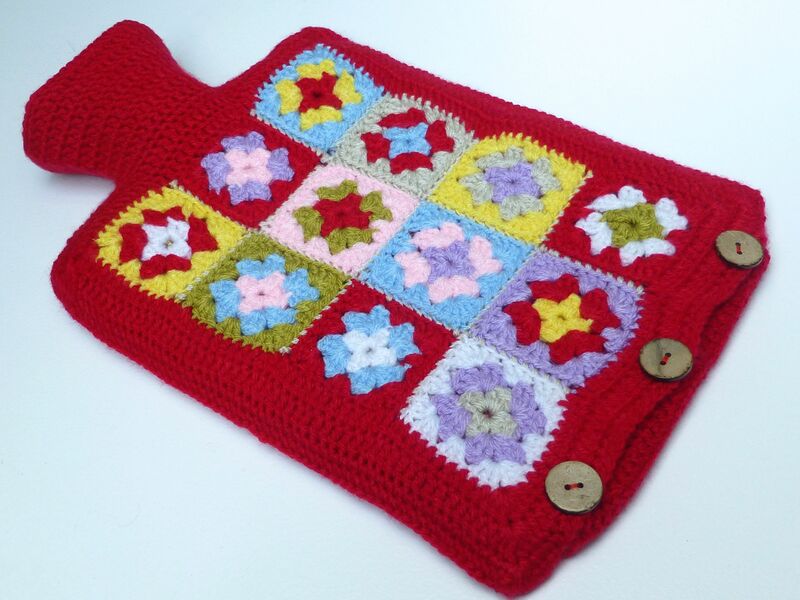 You can find the free pattern in the original post here. There are also jars of homemade jam and a headband that I haven’t blogged about, but they’ve got their fifteen seconds of fame in this post! There is one Christmas present that is ready to show you but I entered it into a competition today and didn’t have time to take any photos beforehand. Anyway, here is a photo I snapped quickly yesterday as a little tease although I promise to show you the finished article when I’ve collected it. Not my design but I’ve put my own stamp on it. Any ideas as to what it might be? I’ve also finished making presents and gathering little treasures together for my #sewingsanta recipient which I’m quite excited about! I’ve managed to get an awful lot for the ten pound spending limit and, by making a couple of things with fabric from my stash and some unbelievable ‘as new’ charity shop finds, this girl is in for a treat! 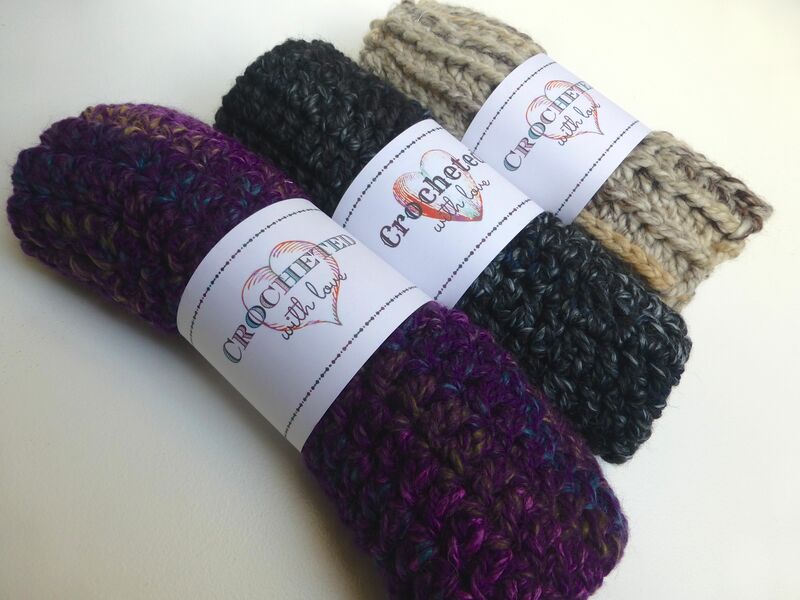 Categories: Crochet, Sewing | Tags: beanie, cowl, crochet, embroidered, hot water bottle, monogrammed napkins, Ocean Breeze Blanket, poncho, scarf | Permalink. 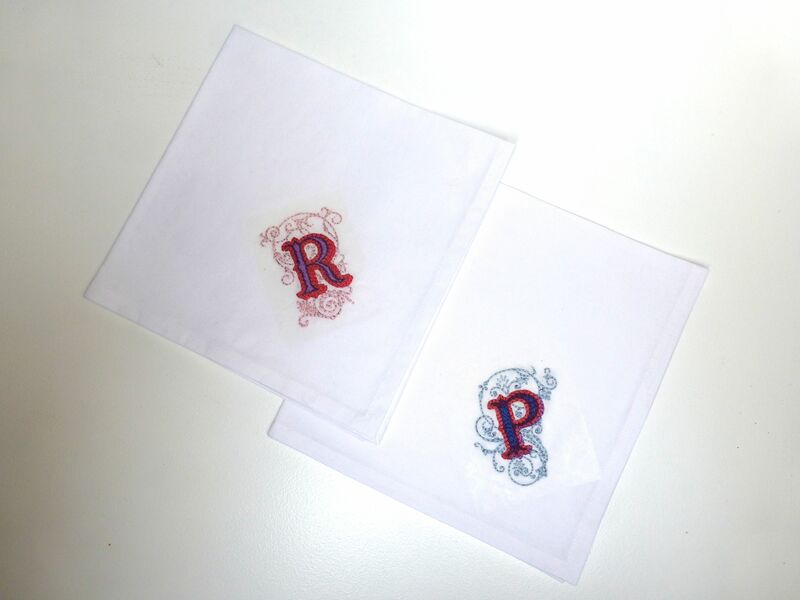 Thanks Caren – I hope they appreciate the blood, sweat and tears that have gone into it! 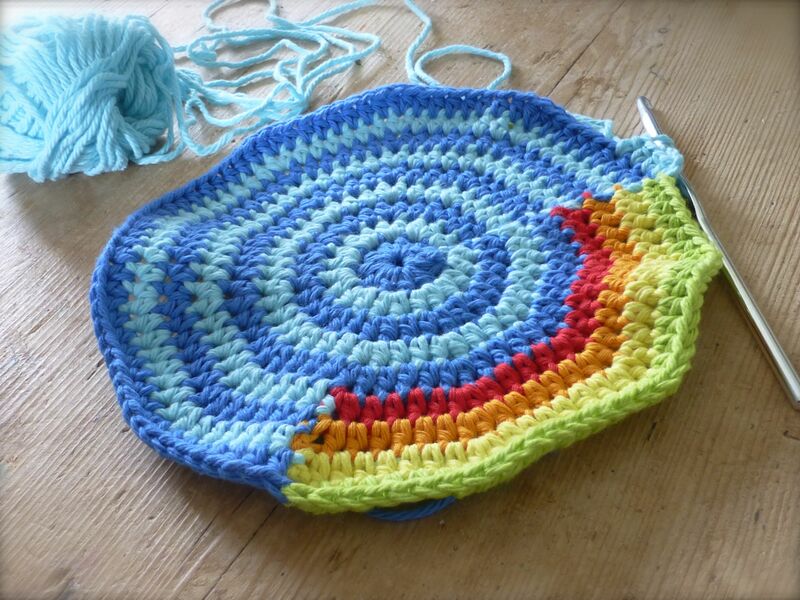 WIP is not a cushion or anything like that ‘normal’ for crochet! Thanks Niki! 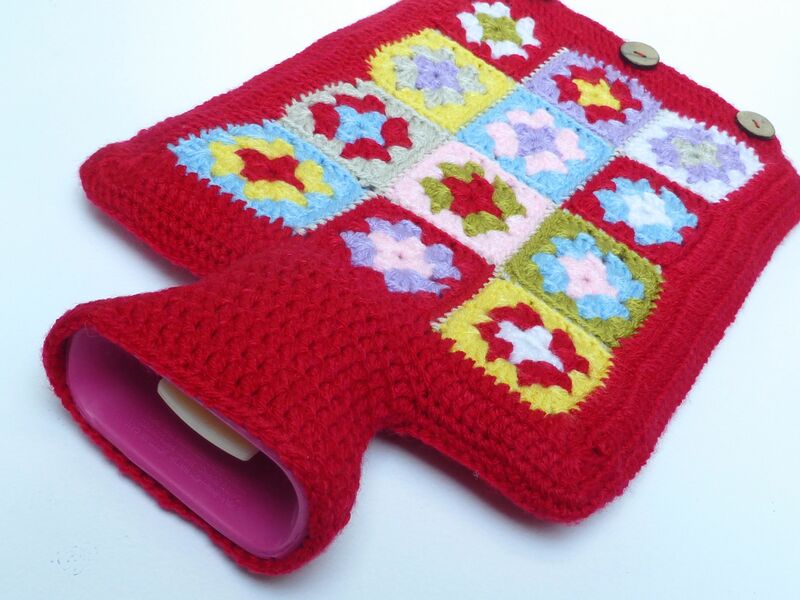 I’ve just popped over to visit your blog and see that we have a few things in common – dogs, hens and crochet to name a few! Beautiful!And I did enjoy this beautiful post!People around you are lucky, your crafted goodies scream out so loudly all the love you put in making them! Me too, I’m so happy to have the chance to see all that treasure at yours…. And thank you so much for mentioning me,I feel really honoured! Such wonderful presents, they look really good. 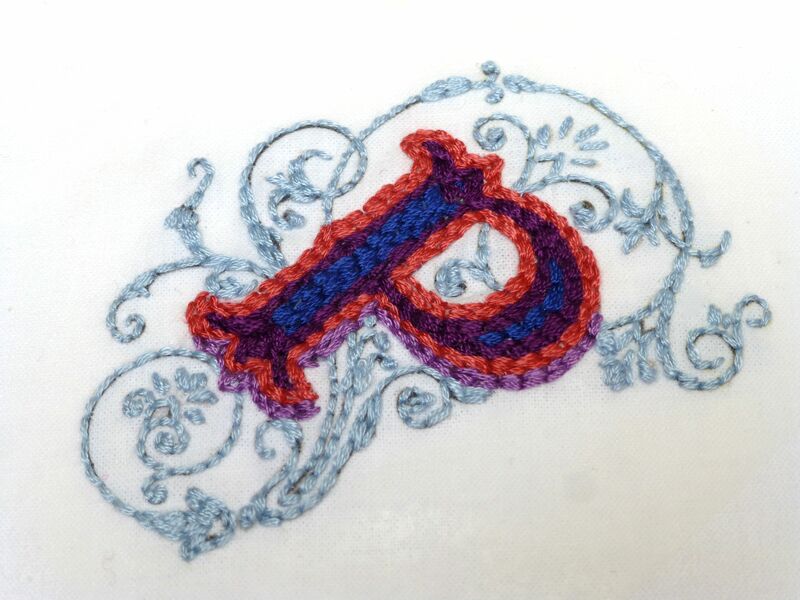 Both your crochet and embroidery are EXQUISITE. I’m in awe!! Thank you for reminding me about Secret Santa – I haven’t got my recipient anything yet, ahhhh!! Thank you for saying such lovely things! I just love creating and it’s nice to know others enjoy seeing them. Wow, beautiful work, you have been busy. 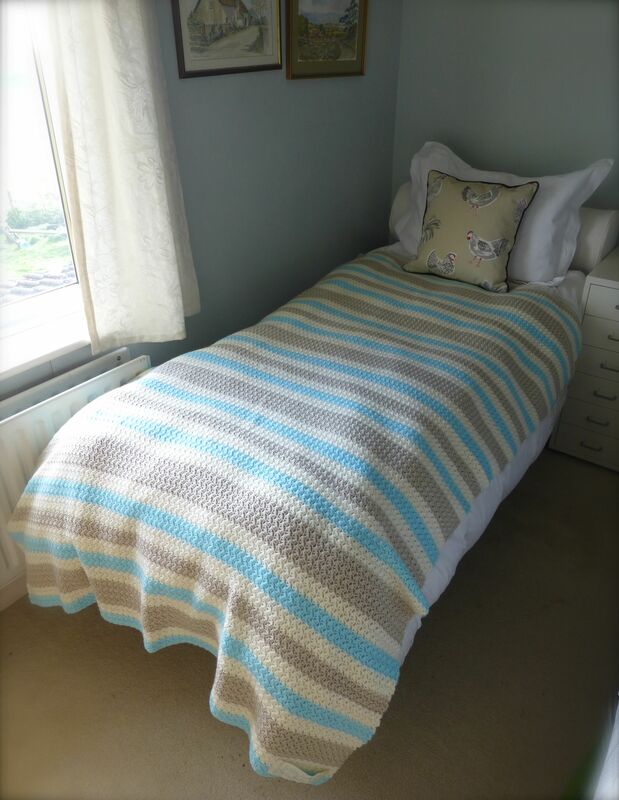 The blanket is fab, I love the colours. Everything really is lovely. Thank you so much – it’s quite satisfying when you see it all in a pile. Makes you realize how much you’ve actually managed to make. Awesome gifts. 🙂 You are doing splendidly. I love the blanket. Keep it up, soon you will have a very happy bunch of friends and family. Ha ha, thank you! Would love to have you as a friend, although SA is an awfully long way to go for coffee! WOW!!! 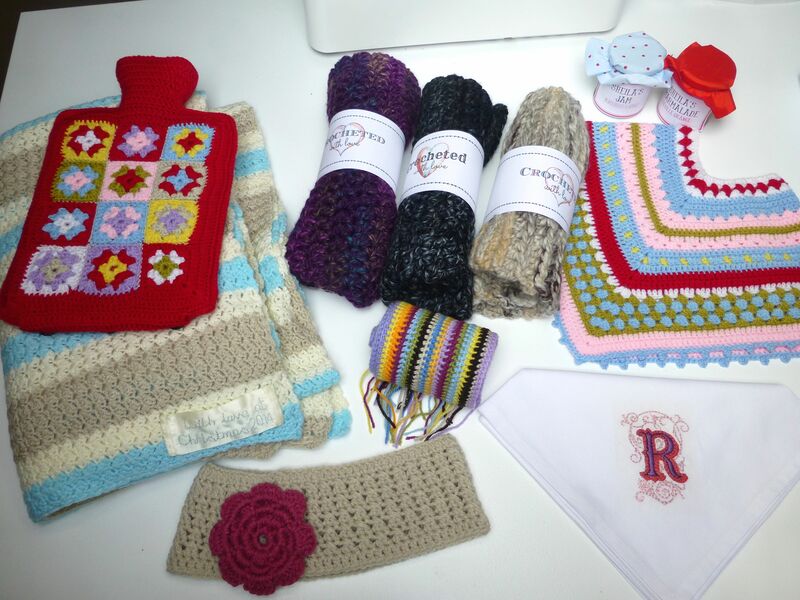 well done, I love every single one 🙂 that blanket is beautiful and the stitch is intricate, and best of all I love how you sew tags on…..lovely! !